Sincura directly manage 12 debenture seats for Wimbledon on behalf of the players, members, sponsors, and debenture holders. We are pleased to offer packages to all matches for Wimbledon 2019 at unbeatable prices with no agency or hospitality premium due to our unique relationships. Being the biggest and most prestigious Grand Slam on the tennis calendar Wimbledon is an absolute must for anybody due to the nature of this world class sporting event. Wimbledon 2019 sees the defending champion, Roger Federer, open play on Monday the 2nd July. Andrew Murray will hopefully be fully recovered from his injury and aiming to repeat his success of 2016. Garbine Muguruza should be in Centre Court action on day two, the new ladies champion. We shall have to wait and see the order of play that day. Wimbledon should also welcome home favourites finding form of their own; Kyle Edmund, Johanna Konta and Heather Watson. Wimbledon 2019 Debenture Tickets promise to provide the very best in sporting entertainment and corporate hospitality, with unrivalled seating and exclusive access to the outstanding centre court debenture facilities. Our Wimbledon 2019 debenture tickets offer an unrivalled view of the tennis from the most exclusive seats, access to the restricted debenture holders restaurants and bars. Entrance to the ground via the debenture holders gates. All Debenture tickets come with Debenture Lounge Badges which provides access to a number of bars and restaurants exclusive to Debenture Holders. Furthermore, if you buy tickets through us you will receive complimentary concierge services through our award winning concierge team during Wimbledon. This will be for everything from your travel and hotel arrangements to your restaurants and evening entertainment in London. tickets are available in for parties of 2, 4 or 6 people seated together. *All prices per ticket (Plus VAT). Ticket prices are listed as members' prices, non members pay a surcharge of £100 per ticket. 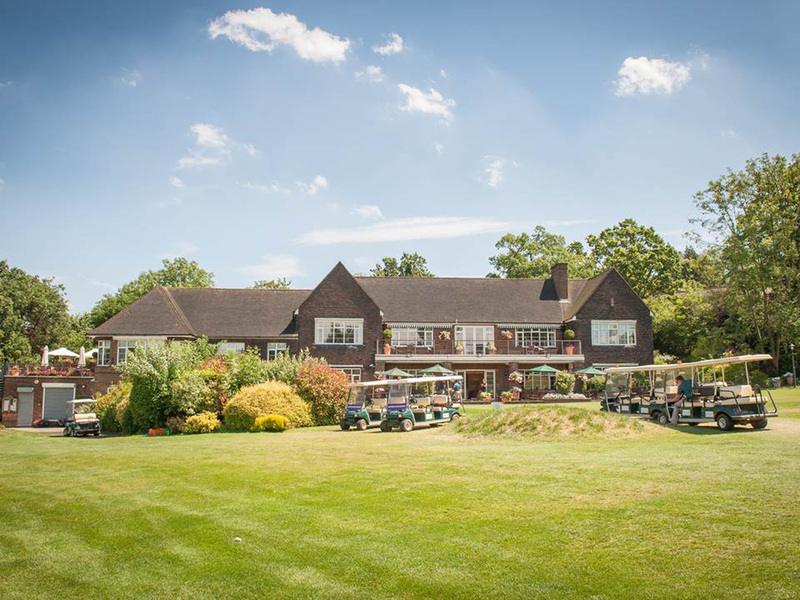 *Hospitality upgrade (Park golf club which can be seen below) £290pp + VAT. The Grounds are open from 10.30am daily. The AELTC reserves the right to change the programme of play without notice where it is necessary to do so. Centre and No.1 Court debenture holders have their own restaurant and bar facilities which have been designed to be places in which to eat, drink and relax in stylish surroundings. The Centre Court facilities offer debenture holders a variety of different restaurants and bars. The No.1 Court debenture facilities are within the No.1 Court building and overlook courts 14–17. Light refreshments are available in the debenture holders’ restaurants and bars from 10.30am and are open for lunch from 11.00am. Payment may be made by credit card or cash. Entrance to the facilities for either the Centre Court or No.1 Court is gained by showing your debenture ticket for that court. Centre Court and No.1 Court facilities have their own cloakrooms and toilets. Wi-Fi is available in the debenture restaurants and bars. The access code can be obtained from the debenture reception desks in Centre and No.1 Courts. The dress code for admittance to the restaurants and bars is smart casual. In particular, we request that you and your guests do not wear torn jeans, running vests, dirty trainers or sports shorts. Tailored shorts for both ladies and gentlemen are acceptable. Gentlemen are not required to wear a jacket and tie. All debenture tickets have details of the dress code printed on them. In fairness to, and in the interests of all our guests, please respect the dress code. Smoking is not permitted in any of the debenture holders’ areas including outdoor balconies. 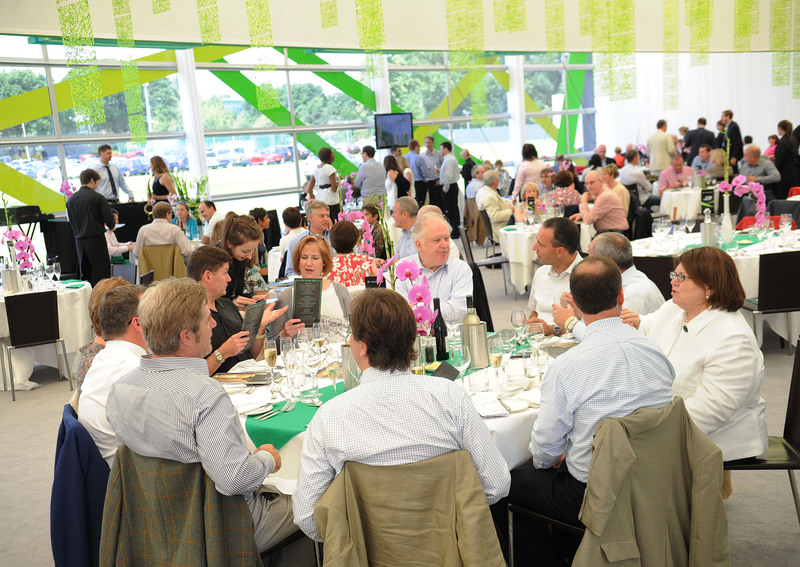 The Champions’ Room is available all day for the sole use of Centre Court debenture holders. This exclusive restaurant offers our nest service with a reserved table for the day with a sumptuous four course luncheon, afternoon tea and a welcome glass of Pimm’s No.1 Cup or Lanson White Label Brut NV on arrival. Specially selected wines are served with your meal and a complimentary bar is available throughout the day for an all inclusive price. Reservations can be made for a maximum of eight persons per table. The Renshaw Restaurant is available all day for the exclusive use of both Centre Court and No.1 Court debenture holders. Situated directly below the No.1 Court debenture holders’ lounge, The Renshaw o ers guests a reserved table for the day with a three course luncheon and afternoon tea. We o er a welcoming glass of Pimm’s No.1 Cup or Lanson Black Label Brut NV on arrival, with wines to accompany your meal and a complimentary bar throughout the day for an inclusive price. The Courtside Restaurant is our fine dining restaurant offering Centre Court debenture holders a delicious three course luncheon menu and traditional Wimbledon afternoon tea. An extensive wine list is available, including a selection of wines served by the carafe. Reservations can be made for a maximum of six persons per table for luncheon. Afternoon tea is served from 3.30pm. Guests can enjoy signature dishes created by our celebrity chefs, renowned for their inspirational menus – Albert Roux obe, Tom Aikens, Bryn Williams and Martin Wishart. We are proud of our association with these chefs and the exceptional dishes they help to create for debenture holders. In between matches on court, return to The Courtside a traditional afternoon tea, with the option to add a chilled glass of Lanson champagne. Our afternoon tea includes the classic combination of nger sandwiches and Devon scones, accompanied by a ne selection of sweet pastries, and of course strawberries and cream. Offering 2 or 3 courses this is the perfect place for an al fresco lunch watching Wimbledon at large. There are no reservations so we recommend you arrive early. The Courtside Balcony has become a popular spot to enjoy traditional afternoon tea served from 3.30pm. The Terrace self-service restaurant provides Centre Court debenture holders with a variety of choices throughout the day. It is an ideal location for a quick lunch or afternoon tea while enjoying the wonderful view from the balcony looking out over the Tea Lawn. Supper dishes are available from 6.00pm–8.00pm daily. In the event of the roof being closed to ensure play due to darkness, The Terrace will be available until play re-commences under the roof. It is not possible to make reservations. At busy times our hosts will assist in seating guests and we recommend you arrive early. Light refreshments are available such as bloomer sandwiches, selection of cakes and scones, jam and clotted cream along with hot and cold beverages. The Roof Top bar is an open terrace bar on top of the Centre Court building with spectacular views of the outside courts and Wimbledon Park golf course. Debenture holders can enjoy sharing platters of seafood, tapas plates, gourmet sandwiches and ne wines, Pimm’s No.1 Cup and premium bottled beers whilst enjoying the fresh air. Bean to cup Lavazza coffees, speciality teas and a full wine list accompany this menu in the open air haven. Due to the small size of this bar debenture holders are encouraged to arrive early. The Gallery Bar provides wonderful views over the outside courts and the London skyline and has been designed for debenture holders to enjoy a great selection of drinks in an elegant setting. A limited food o er is available from 11.00am–2.00pm for debenture holders to enjoy with their drinks. The bar remains open until 10.00pm or 30 minutes after the end of play, whichever is earlier. However, in the event of the roof being closed to ensure play due to darkness, The Gallery will be available until play re-commences under the roof. Primarily designed as a bar for people to enjoy a drink before, during and after the main play of the day, a light luncheon food o er is available. Designed for guests wanting a more relaxed style of cuisine the bar serves a range of sandwiches, sushi and coffees. The coffee bar is open from 10.30am serving a range of Lavazza coffees and tea. A selection of pastries are available. Overlooking courts 14 and 15 this restaurant o ers an exciting Italian lunch menu with a range of antipasti, stone baked pizzas, delicious pasta dishes, specially selected wines and, of course, strawberries and cream. Afternoon tea and a light bites menu are available throughout the rest of the day. Light refreshments are available in the debenture holder’s self- service restaurant from 10.30am and lunch from 11.00am. It is not possible to make reservations but the restaurant is designed to cater for a large number of diners at peak times. Light refreshments are available such as bloomer sandwiches, a selection of cakes and scones, jam and clotted cream along with hot and cold beverages. This bar for the exclusive use of debenture holders is built above the South East staircase and overlooks the main concourse and Court 17. A selection of freshly made sandwich platters and sushi is available from 11.00am–2.00pm for debenture holders to enjoy with their drinks. Please don’t hesitate to view this bar as your base for the day, relaxing with a drink and enjoying the stunning views intermixed with the fantastic tennis action on No.1 Court. We recommend you check the weather and ensure you are prepared for all weather conditions. Sensible and suitable footwear is recommended, we do not recommend flip flops or high heels. We recommend you leave bags at home however if you must bring one, make sure it is smaller than 40cm x 30cm x 30cm. People with special dietary requirements are advised to bring food drink with them, however there are a number of gluten-free products at the Aorangi Food Court, the Conservatory Kitchen and Café Pergola. If you are intending on bringing alcohol ensure that you do not bring bottles of spirits and follows the falling guidelines : Alcohol may be brought into the Grounds but is limited to the equivalent of one bottle of wine or Champagne (750ml) or two cans of beer (500ml) or two cans of premixed aperitifs per person. Babies in arms and children under 5 are not permitted in any Show Court. Do remember to hand in or offer your Show Court tickets for scanning as you leave the Grounds – these will be resold for charity. Please leave plenty of time if you have onward connections. For further information, or if you have limited mobility and would like further information concerning provision for wheelchair users and ambulant disabled customers, please call the Debenture Office on 020 8971 2341. We would strongly recommend that you plan your journey in advance, taking into account that roads and public transport servicing The Championships will be heavily congested, and extra time may be needed to complete your journey. South elds: Walking from South elds Station to the Grounds takes approximately 12 minutes (Gate 1). Wimbledon: Walking from Wimbledon Station to the Grounds (Gate 5 or 13) takes approximately 25 minutes. A walking map denoting the shortest route is available on pages 54 & 55. Southfields on the District Line, see tfl.gov.uk. Wimbledon via South West Trains from Waterloo, see nationalrail.co.uk or southwesttrains.co.uk. On arrival there are taxi services from taxi ranks at Wimbledon and South elds Stations. For your return journey a shuttle service operates from the taxi rank in Somerset Road (Gate 13) for Wimbledon and the south, and Church Road (Gate 4) for South elds and the north, as well as services to all other destinations. The All England Club is situated in a densely populated suburb of London and local roads can be heavily congested during The Championships, therefore please allow plenty of time to complete your journey and gain access to car parks. On-street parking is not permitted in any of the roads around the All England Club during The Championships. Offending vehicles will be removed. Routes to the championship - Please follow the signposted routes. One-way systems may be in operation at peak times in the Wimbledon area. Sat Navs - The AELTC lies between SW19 5AG and SW19 5AF. Do not use the postcode SW19 5AE to locate the AELTC via Sat Nav. Drop off/ Pick up - Blue Badge drop off points are available opposite Gate 13 on Somerset Road or Gate 4 on Church Road. For those pre-booking taxis for departure from the Grounds the pick up point is situated in Marryat Road. Parking for motorcycles is available in Car Park 4 at a charge of £10. This can be pre-booked through theaa.com/wimbledon or purchased on the day. Parking is available in Car Park 4 at a charge of £30 on the day or £25 if booked in advance (for bookings visit theaa.com/wimbledon). *Our Concierge Team are on hand to organise any of your travel needs. The desire to protect the safety and security of all visitors means that comprehensive security measures will be in place for The Championships, including extensive searches (of bags, vehicles and the person) on entry to the Grounds and the Show Courts. Please note there are restrictions on bag sizes (not exceeding 40cm x 30cm x 30cm / 16” x 12” x 12”) and hard-sided items in addition to the prohibited items (below). The speed of entry to the Grounds is decreased dramatically when multi-pocketed bags/backpacks are presented. There will be no general left luggage facilities inside the Grounds. However, debenture holders will be able to leave small items in the debenture holders’ cloakrooms along with coats and umbrellas. Every effort will be made to speed your progress through the search procedures; however, this process depends on the requirements of the Metropolitan Police. You are strongly advised to arrive as early as possible. We know that these procedures may be inconvenient but we are sure that you will understand the need to protect the safety and security of all our visitors. 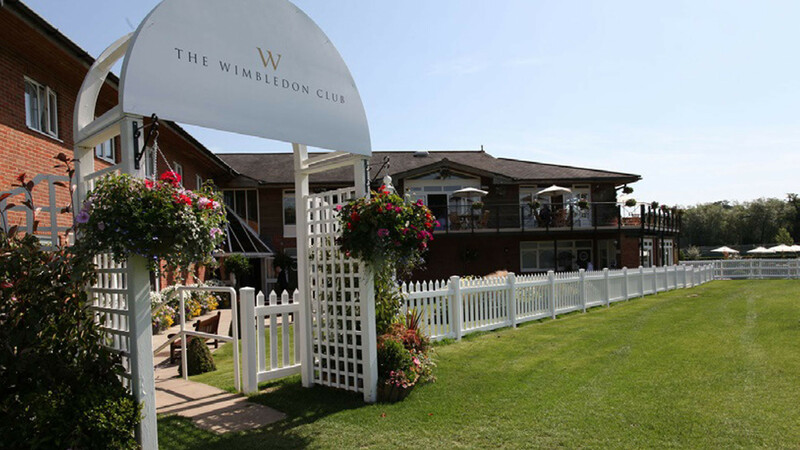 Arriving at the All England Club on a summer’s day is one of the sporting and social worlds great privileges, accessible through acquiring your debenture ticket from Wimbledon Debentures Direct. Life really does not get any more pleasurable than spending a day at The All England Lawn Tennis and Croquet Club watching ‘The Championships’. How perfectly English that the honours being competed for are the Ladies and Gentlemen’s titles. Whilst attending Wimbledon in any form is a delight, the experience enjoyed by debenture holders is truly exquisite. Your ticket provides for entrance through all gates, however Gate 4 is reserved for debenture holders and its use is encouraged, perhaps after dropping the car off at Car Park 8, also reserved for use by debenture holders only. Once inside, be it your first visit or your fiftieth, the grounds are breathtaking, an ocean of perfectly prepared, manicured and presented purple and green, be it foliage or staff. We would encourage an early arrival as whilst play on the ’Show Courts’ start at 13:00 or 14:00, matches will commence at either 11:00 or 11:30 on courts 2-18. To fully appreciate your Debenture holders ticket, spending some time watching either play or practice on the outside courts should not be missed. The ability to get so close to the action as the world’s finest warm up is unmissable. Perhaps, after an hour or so watching play it’s time to experience the dining facilities, bars and lounges available to debenture holders. These are only accessible via the separated debenture holders entrance, by showing your ticket and badge to the most charming stewards. 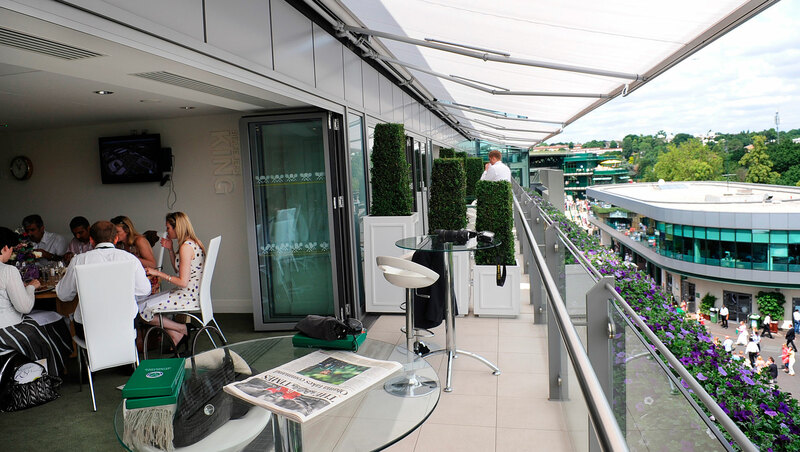 Once inside there is an array of options from light snacks and drinks in the NO.1 Bar overlooking Court 17, to The Champions Room where you sample Wimbledon’s finest dining experience during a four course lunch at your reserved table, yours to enjoy for the entire day. Alongside these are the Renshaw and Courtside Restaurants with three course table service, the Italian lunch at The Veranda and lighter food choices and drinks at either the Terrace, The Roof Top, The Gallery and The Lounge. All of these are delightful and several require no pre booking. So, on to your Centre Court experience. There are no bad seats on Wimbledon Centre Court, there are however, the best seats. These are the ring of middle tier debenture seats, on a level with the Royal Box. Here you can watch the choicest matches in comfort and enjoy the exceptional view. You are free to come and go as you please as the three or more matches take place. The retractable roof ensures play during inclement weather and matches can continue late into the evening. A day at Wimbledon is simply one of England’s finest offerings and as a debenture holder, you will enjoy the very best of this unique event and leave with a memory for life. The Barclays ATP World Tour Finals returns to London’s O2 Arena for the seventh year in a row. The event, renowned around the tennis circuit as the exclamation point to the ATP World Tour serves as the ATP Master’s Series finale, giving the top eight men’s singles and doubles teams in the world an opportunity to challenge one another for a chance to bring home the year-end title.The Barclays ATP World Tour Finals feature a round-robin format, comprising of two groups of four players, each to play a minimum of three matches, with the top four moving on to play in an elimination round on the final two days of play. For fans, this ensures top level quality tennis and gripping competition. London’s twenty-thousand seat O2 Arena is the perfect venue, as the indoor setting creates an electric, intimate setting to watch world class tennis. Sincura tickets is pleased to offer a range of VIP hospitality options – suitable for entertaining clients, colleagues, family or friends – to all the dates and sessions for this prestigious event. Early bookings will ensure top quality facilities and best reserved seats. A day with your family and friends at the Barclay’s ATP World Tour Finals could not be more perfect than in the comfort and luxury of your own Private Suite. An intimate and wonderfully relaxed way to watch the world’s greatest tennis players from an exceptional vantage point. Your Private Suite includes complimentary drinks at the bar and a selection of gourmet dishes served by your own dedicated hostess. This new hospitality offer for the 2015 Barclay’s ATP World Tour Finals sees the hospitality team up with the famous Gaucho restaurant chain. Start your experience at the immensely popular Gaucho restaurant, located within The O2. Here you can enjoy a champagne reception before moving on to a delicious two-course dining experience, followed by the ‘main course’ – watching the world’s best singles players and doubles teams, from the same excellent category 1 seats as match business seat patrons. The Barclay’s ATP World Tour Finals is the UK sporting calendar’s best opportunity to entertain friends and network with clients. The relaxed atmosphere of The O2 Arena’s newly designed VIP Lounge is the perfect location for that winning combination of premium hospitality, top tennis and best available seats. Enjoy the excitement of the Barclay’s ATP World Tour Finals with excellent seats and a shared hospitality experience. The casual lounge-style setting offers great finger-food with a premium selection of beverages. Private boxes and shared hospitality options available. We have a range of stylish suites holding 15, 18 and 30 people, so why not watch the tennis with your friends in style? This new and stylish VIP lounge offers guests gourmet food coupled with a complimentary bar and excellent lower tier seats offering guests a fantastic view of the matches and a chance to soak up all of the atmosphere the finals have to offer. This casual bistro-style setting offers guests a complimentary bar with a light informal meal and finger food coupled with category one lower tier seats.